House parties are immensely fun, not to mention loud! In today’s post, we will talk about hosting parties with a slightly different twist. Instead of mentioning items commonly seen at most parties, we have improvised a little to give your party the Create Automation touch. Much is expected of the home automation industry in 2015, and if the latest news coming out of the circuit is any indication, it looks like the industry is ready for the challenge. Create Automation certainly is. Like it or not, gaming has become an integral part of modern day life. Teens and adults alike find great joy in settling down after a long day at school or work, switching on their console and getting lost in a world of adventure or shoot-em-ups. It is because of this that gamers, both novice and experienced, are seeking new ways of enhancing their gaming experience. The world of gaming has evolved massively over the past few decades. Today, we have a plethora of options on an impressive assortment of consoles, including the option to play online with gamers from all around the world. With everything from the Xbox One to popular iPad games, there is no telling what the industry will look like ten years from now. With the trend of hi-tech homes going global, there is no avoiding the need to update and refresh the technology in your home, and what better time to make the shift into an advanced market than on Halloween? Not only will you be able to invite your friends and family over to enjoy your new wireless speakers or in-wall iPad dock at your annual Halloween do; you can enjoy this technology all year round too. One of the key benefits of investing in technology is that it brings about innovation that is almost always an improvement over the current technology. What is regarded as the de facto standard today could be obsolete technology within a week. That’s how fast technology has been moving ahead in certain disciplines. Home automation is one of them. And that means that homeowners should make sure that the wiring and connections in their homes are capable of handling home automation and of delivering modern telecommunications and entertainment. Sound is one of life’s constants, so much so that periods of silence have become all the more noticeable. However, aside from its everyday uses like music from ceiling speakers or announcements over tannoy systems, other strange things have been done with sound; some of which have led to some interesting medical military and artistic applications. If you read these out load and you may not believe your ears, as we take a look at some of the weird and wonderful things done with sound! Summer is a wonderful time to get all the family together for a BBQ or mini outdoor party to make the most of the lovely weather and spend some quality time together. While you can splash out on fancy equipment and finger foods, there is a cost-effective way to throw an awesome get-together without putting yourself out of pocket. Here at Create Automation, we offer an array of devices ideal for a summer garden party. Here at Create Automation we pride ourselves on supplying a varied selection of quality ceiling speakers. In this blog we have outlined just three of our favourites which would make an impressive addition to any home entertainment system. So, whether you are looking to give your sound system a boost, or improve the sound quality in your living room, take a look at these three speaker systems available from Create Automation. Understanding speaker impedance, what it is and how it works is not that difficult. Unfortunately due to a lot of misinformation on the internet, it has become somewhat of a complex issue that most shoppers tend to avoid. Understanding speaker impedance will help you to get the most out of your amplifier and speakers. Even if you are not keen on pushing things to the limit, having knowledge of your speaker’s capabilities as well as limitations can come in very handy and are invaluable if you are shopping for a home cinema system or a good quality entertainment system. Ever since television became commercially available in 1929, our homes have been slowly filling with home entertainment technology. From fully integrated home cinema systems to the humble tablet, pretty much all of our audio visual needs are catered for. However, with all these gadgets organisation and décor can be a bit of a problem. Create Automation are a company specialising in home technology and aim to deliver only the best in service, delivery and product. In this blog post, we want to introduce you to the benefits of choosing our company as your main home technology supplier and explain as to why you should choose us over other big name companies on the market. With huge technology brands such as Control4 beginning to play an ever growing role in our everyday lifestyles, the desire for new, hi-tech additions to the market is growing and every day we take technology for granted. In this article we will be discussing the advances in technology that we use on a regular basis and don’t take the time to be thankful for. From the release of the latest Apple product to the introduction of pillows that replicate the rhythm of your other half’s heartbeat, there hasn’t yet been an invention that truly captivates the convenience of a good old British tradition, until now. The power of sound can be found almost anywhere in life, whether you’re on the street, at a concert or even in your home; sound can be both inspirational and electrifying. One of the greatest representatives of just how powerful sound can be is in the Mercedes car advert which was released in early October last year. Why Should You Mount Your Speakers With Wall Brackets? No matter how good of a sound system you have, if you haven’t installed it the right way you will struggle to get the overall experience. Those looking to add an extra dimension to their home cinema systems, lighting features and ceiling speakers should look no further, as major electronics company Control4 has recently launched a brand new keypad to be used alongside its extensive range of electronic products. There are many good speaker systems available to choose from in the market. However, the most desired home cinema systems tend to be 5.1 channel surround sound systems. While there are various companies offering 5.1 channel sound systems, Yamaha has a reputation for quality. Today we will give you a preview of Yamaha NSP150PB Centre and Rear Speaker System. We at Create Automation have always strived hard to make sure that our online product inventory showcases the most efficient sound systems that display the highest standards of quality, ingenuity, and innovation. We undertake numerous tasks that help us with this goal but user feedback is no doubt the most valuable tool we have at our disposal. Some people might wonder why on earth would people who are big on entertainment and loud music, want to soundproof their home theatre system. They may not realize it but they just answered their own question! People who are diehard music enthusiasts or those really passionate about creating the cinema experience at home always make sure that they soundproof their theatre room. The purpose behind it is simple; keep the outside noise out and the inside sound in, for an overall improved sound experience. A 5.1 Channel Speaker System or a 7.1: Which One Should You Chose? There is no doubt that surround sound systems have changed the way we watch movies or listen to music. However, there isn’t just one type of surround sound system available, there are many of types when it comes to surround sound home cinema systems and there are differences regarding the ‘channels’ as well. The home entertainment industry has always thrived on innovation and imagination. Every day we come across different products and devices all field tested and proven to be better and more efficient than their predecessors. Last month, we saw yet another instance of the bar being raised with a contender making its way into the home entertainment arena claiming to be the world’s first integrated wireless 3D home cinema speaker system. The news went viral instantly creating quite a buzz on social media. Many tech pundits and enthusiasts are already singing its praises and can’t wait to get their hands on it when it hits the market late August. A common misconception about IP cameras is that they are too pricey for your needs, which is why some people choose to opt for classic analog cameras. 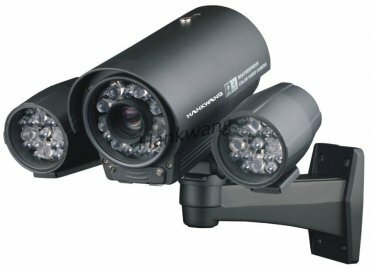 Here are a few reasons why IP cameras are superior over the old analog cameras. Wires can be the bane of everyone’s lives – always in the way, they make you trip over, gather endless amount of dusts and don’t look anaesthetically to say the least. Could You Cope With This Sound? Here at Create Automation we sell an amazing selection of ceiling speakers that offer an excellent quality of sound and now we know why – nobody likes silence, as proven by the room in this image. It sends people insane with hallucinations! How Do I Install My IP Camera? Many homeowners purchase IP Cameras to help keep tabs on their home when they are away on holiday or out of the house late in the evening or through the day. When it comes to technologically advanced equipment, the biggest enemy is water. Speakers are often used at outdoor events and music performances but they use a very thin coil of non water-resistant paper cones and this leaves a risk of damage to the speakers which can result in noise distortion, corrosion of coils or permanent damage to the speakers. This will then result in new speakers that need to be purchased. The solutions to these issues are in the form of waterproof speakers. Would you like your home to match a pro-footballers ultimate lad-pad? Create Automation recently met with a Nottingham Forest Football Player to create the ultimate crib for him, the work was discussed and the job was completed.